Our founder wanted to assist persons to regain the strength that comes from community support networks(social capital). She felt that we have amazing opportunities to re-connect with our communities, and to co-learn in a way that leads to community empowerment to positively close the gaps too often seen in health, education, and socio-economic circumstances . She was one of the early graduates of the newly desegregated Little Rock Central High School in the 1960's and a strong advocate for social justice. She says that she never could have made it without the support and encouragement of her community. She knows firsthand what it is like to move through systems. She knows what it is like to be a single parent, working full-time and going to school. She knows firsthand the disparities and difficulties that persons from such backgrounds face, often unspoken and unshared. She encourages us all to "tell our story" to help others to regain their strength, and the strength of the community. 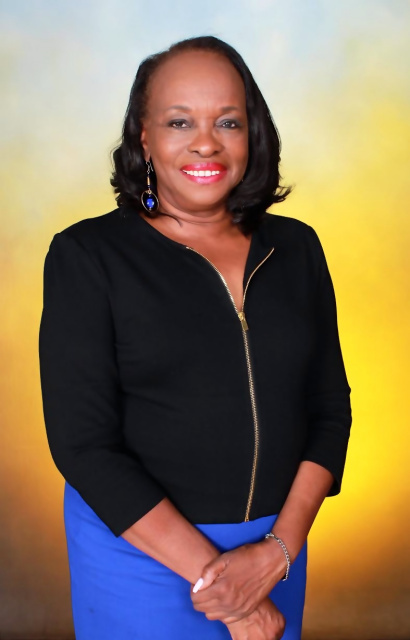 She worked as a nurse for over twenty years in roles ranging from nurses' aide, to staff nurse, to her retirement as a Chief, Nursing Education and Research at the Department of Veterans Affairs Health Care System in Long Beach, California. She is also a retired Lt. Colonel(U.S. Army Reserves/Army Nurse Corps). After serving many years in adjunct faculty roles and on the advisory boards of numerous nursing programs, she launched a second career in collegiate education.. While on the faculty at California State University, Long Beach (http://www.csulb.edu) she was one of only a handful of African-American Nurse faculty. They were all near retirement. Their loss to the organization would inadvertently affect the availability of role models for incoming African-American students. This was a concern to Dr. Willingham-Toure'. She began to recruit other RNs to consider teaching as a career path. She entered collegiate education as an instructor and later became a Professor. She organized the first group of African-American nurses in Long Beach, California to form Psi Eta chapter of Chi Eta Phi Nursing Sorority Inc. (http://www.chietaphi.com) . Although these Registered nurses lived and worked in Long Beach and surrounding areas they did not know each other, nor were they known to their communities. The group celebrates its 25 year anniversary in 2016. While serving as the Interim Provost/ Senior Vice-President, Fielding Graduate University, Santa Barbara, California, she was an active participant in the development of the Worldwide Network for Gender Empowerment. Her speeches ring with the vision of creating opportunity and access for persons from underprivileged circumstances- especially African-Americans, and African Diaspora immigrants. Our founder has worked and traveled abroad studying various community and education systems. Her travels have taken her to Saudi Arabia, Jordan, Egypt, South Korea, Thailand, Mexico, Cuba, South Africa, Malta, Canada, Ghana, Guinea/Conakry, and China. She envisions connecting diverse African-Americans and African Diaspora Immigrants to share opportunities to reduce disparities. She calls upon each of us to share what we know in a way that will be of value to our diverse communities, and to our families. It is time to tell our stories, share our knowledge, and to lift others. Now is the time to open doors to new and empowering experiences and opportunities. Dr. Willingham-Toure' studied Liberal Arts at Southern Illinois University; earned a BS in Nursing at Regents College - University of the State of New York; Masters degree in Nursing Science [MNSc] at the University of Arkansas Medical Science Campus; and a PhD in Education from Claremont Graduate University. She is a Fulbright Scholar Alumni having received a Fulbright Specialist Grant to The University of Malta, Health Institutes with a specialty in Global and Public Health. She currently serves as a Member of The Board of Governors at California State University, Long Beach; and Secretary of the Board of Trustees, Chair Academic Affairs Committee, and member Social Justice and Inclusion Committee at Goddard College, Plainfield, Vermont; and a member of the Citizens Advisory Task Force, Bellflower Unified School District.